Any interior arch is an elegant design option, which adds to the functionality of the space and immediately becomes its focal point. Arches can soften the look of any room, they add architectural character and visual interest and help create inviting spaces with touches of drama and sophistication. Furthermore, when it comes to open-concept layouts, arches help define separate zones while still keeping them open to one another yet maintaining a certain degree of privacy. Commonly, arches are used as a zoning element between entrance areas and living rooms, kitchen and dining areas, and bedrooms and closets. In terms of materials, anything from stone and brick to wood and metal can be used to construct arches. With so many types of arches, from the Roman one to the Moorish version to the Gothic- and Thai-style arches, a design solution can always be found that works well in any interior, traditional or contemporary. Generally, whether used in entries, bathrooms, or living rooms, arches go far beyond the limits of purely structural elements because they make a statement, add personality, and enhance any space. As already said, arches are a classic design solution, which fits in with any space regardless of its style and always makes a statement. Furthermore, they are a key feature of Mediterranean and Tuscan styles and help lend interiors inspired by these styles an unmistakable look and timeless charm. Above, a Mediterranean-inspired bedroom with a contemporary twist. In earthy colors, with exposed ceiling beams and a bed positioned in an arched niche, this bedroom radiates warmth, coziness, and elegance. A unique carved headboard adds extra visual interest. Definitely an inviting bedroom! 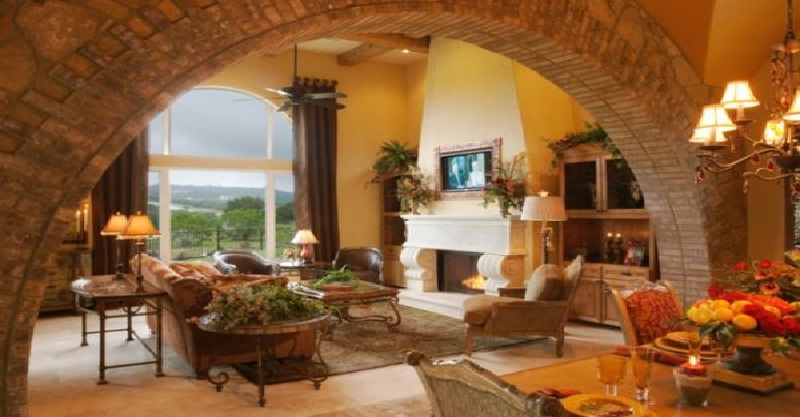 Stone and brick arches are commonly used in traditional-style interiors. They look imposing and when complemented by exposed wood, whether ceilings, flooring, or walls, arches help create spaces that exude warmth, coziness, and Old-world charm and elegance and add texture, architectural interest, and tons of personality. 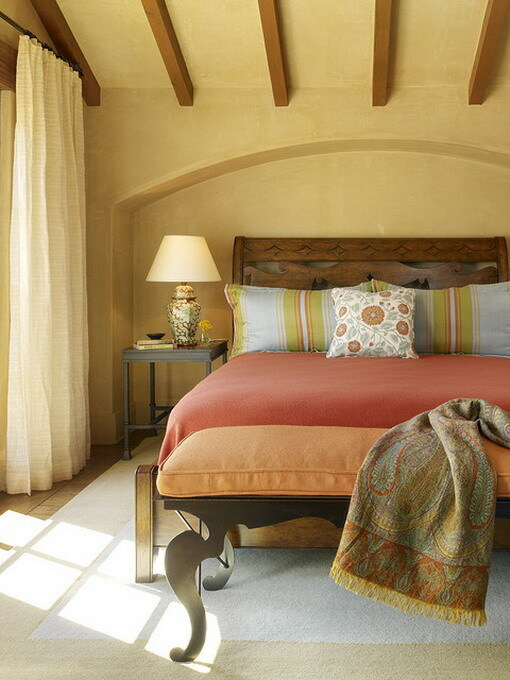 In the picture above, a Tuscan-inspired space in neutral yet warm hues. 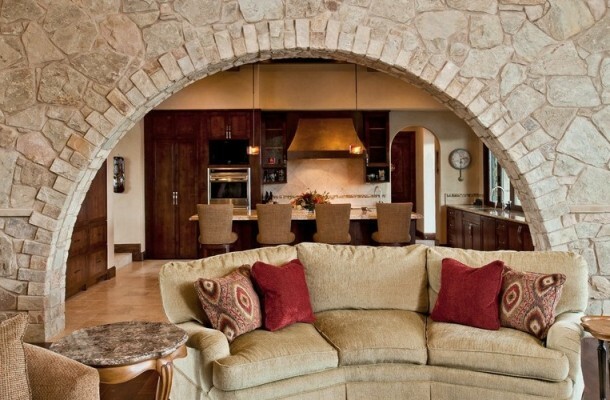 A stone arched wall connects and defines a living room and a kitchen. Comfortable furniture and furnishings add elegance and sophistication. A truly impressive space with an organic vibe! Another common way is to trim an arch with wood. This solution also works well in any space and style, from classic bedrooms to contemporary kitchens and entries. However, wooden trims are more suitable for traditional settings. Above shown is a space with a distinctive architectural character and an extensive use of wood. 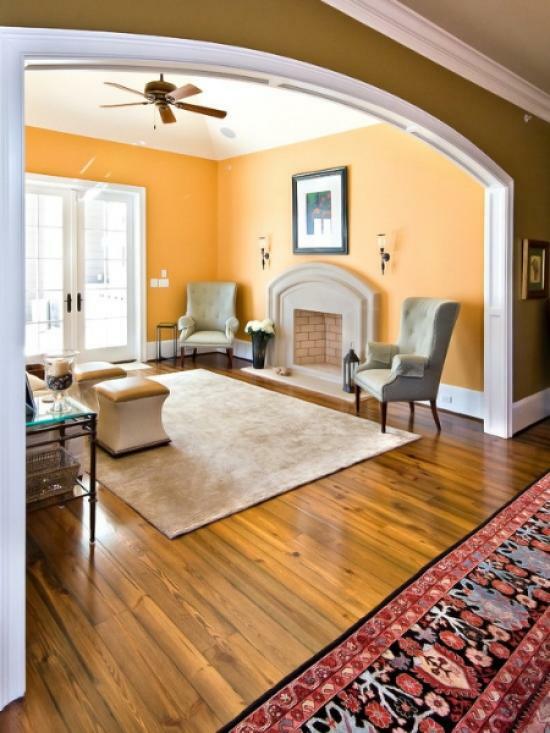 Wood trimmed arches immediately grab the eye and add a sense of harmony. An embellished fireplace creates a feel of warmth and coziness. An oversized wall clock positioned just above the fireplace brings extra visual interest. In contemporary designs, there are quick and budget-friendly ways to build arches, such as using polyurethane and gypsum plasterboard. Both are flexible, moisture-resistant, and easy-to-work-with materials. In addition, they can be finished as to fit in with the setting. 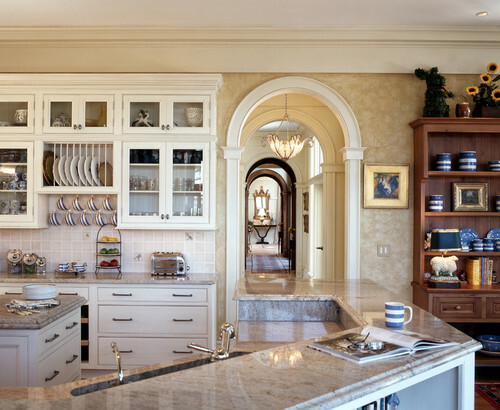 Sometimes decorated with moldings and cornices, arches are extensively used in both traditional- and contemporary-style interiors for creating open-floor plan designs. Although designers come up with numerous solutions, which depend mainly on whether they are incorporated for structural or purely decorative reasons, arches fall into some main categories. The classic/Roman/ arch is round-headed with a semi-circular shape. Usually resting on top of two columns and made of wood or stone/drywall is a contemporary option/, valued for its simplicity, this is probably the most common type. It lends an elegant, complete look to any space and works well in different settings. In the picture above, the repeated use of classic arches makes a statement and helps create a space with a sophisticated, timeless look. Evolved from the classic Roman arch, the Gothic one is an arch with a sharp point and has an unmistakable look. Used predominantly in spaces with extremely high ceilings, when embellished in different ways, Gothic arches personalize the space and immediately become focal centers. Tudor arch is a shallow, flattened arch, pointed in the middle or not, still used in interiors as a zoning element between two spaces. 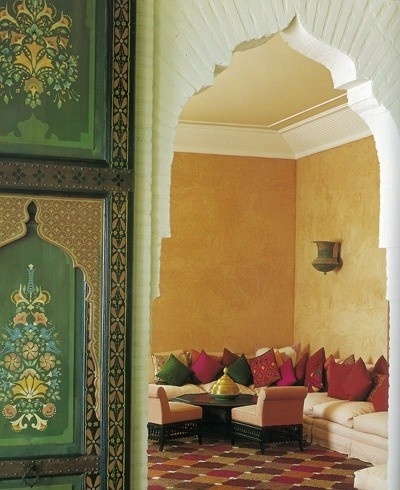 Moorish/horseshoe/ arches, which are often used in Moroccan-style spaces, differ completely from the other arches. Rounded or pointed, they help create appealing, intriguing interiors. Actually, Moroccan-style arches are one of the key features of the traditional Islamic architecture. Above shown is a living room of minimal design with low-level furniture. Plenty of throw pillows in rich, earthy colors help create an inviting atmosphere. 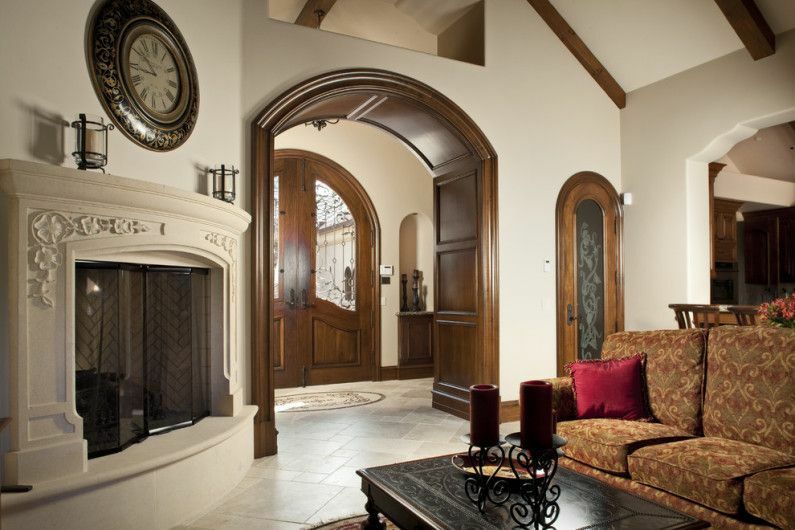 An arched doorway with an unmistakable look immediately grabs the eye. The same element repeated as a part of the wall décor adds a sense of harmony. What a space! The flat/ straight, rectangular/ arch is a simple rectangular opening, probably the simplest arch option. Its variant, the Slavic /romance/ arch, is a rectangular opening with rounded edges. A variation of the classic or rectangular arch is the arch with a glass transom. Extremely elegant, with an opaque or transparent glass insert, it is a solution to add some extra light to spaces with inadequate natural light. Furthermore, when stained-glass inserts are used, this arch can beautify any space and lend it a stunning, unique look. In the picture above, an arch with a glass transom adds extra appeal, visual interest, and tons of personality to this adorable space. As already said, whether serving as a zoning or decorative element, to visually increase the height of ceilings, or create a cozy atmosphere, arches, decorated or not, fit in with any interior of traditional or contemporary design, from bathrooms to hallways. However, they work perfectly well in spaces with round shapes in traditional and Mediterranean style, such as entrance doors, French doors, and windows with semicircular tops, and help create sleek, elegant rooms. Above shown is an awesome eclectic hallway. 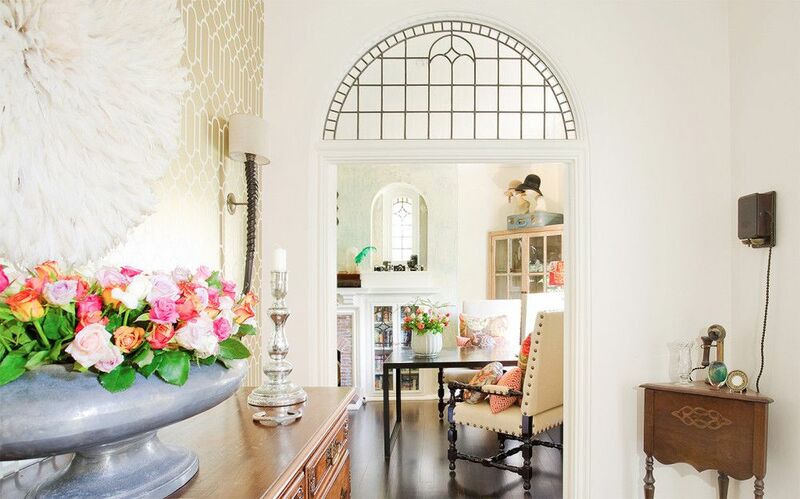 Arched doorways and an embellished arched entrance door complement each other in creating this balanced space, which is definitely a feast of color, textures, shapes, and finishes. Art pieces and ornate furnishings add extra visual interest and take the space to the next level. Unquestionably, arched windows are a stylish addition to any interior. Furthermore, when in proximity, they create a sense of harmony and balance. 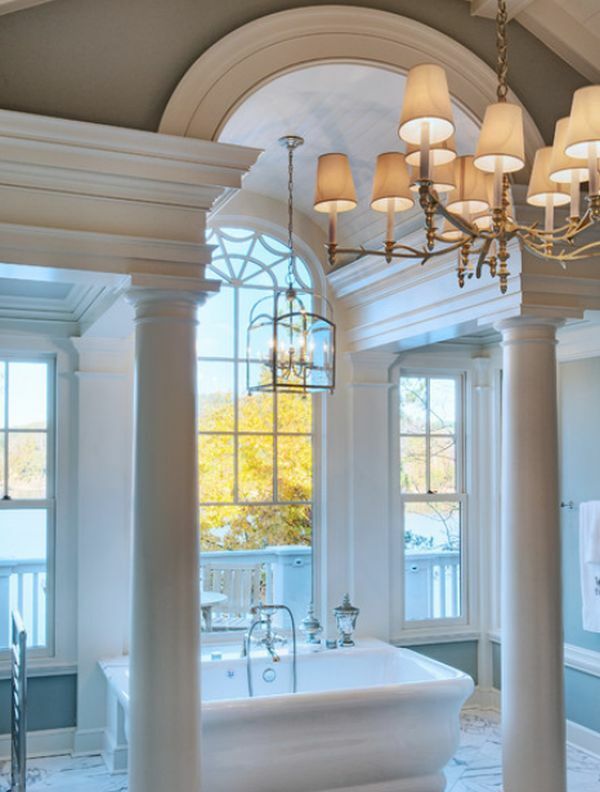 Above, a stunning bathroom with arched windows. 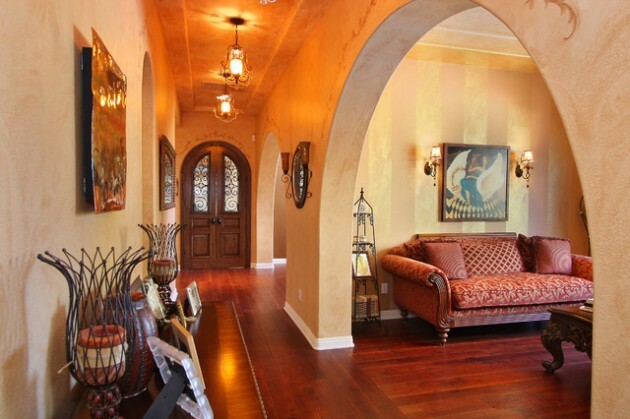 In addition to defining zones in open-concept layouts with arched doorways, arches are used as a decorative element. Whether as fireplace surrounds, kitchen range hoods, shelving, mirrors, niches, and more, they help create stylish, adorable, harmonious interiors with personality. In the picture above, a bright, airy living room. An arched fireplace surround repeats an arched doorway solution and complements it in creating an elegant, balanced space. A piece of wall art positioned above the fireplace adds extra visual interest and appeal. Arches are a timeless architectural element. Although usually found in traditional- and Mediterranean-style interiors, they also work well in contemporary spaces where are used predominantly as a decorative element. Whether made of stone, brick, wood, or any contemporary material, arches are a statement element, which, especially when repeated, help create interiors with a sophisticated, timeless look, add personality and touches of drama, and highlight other details or views.